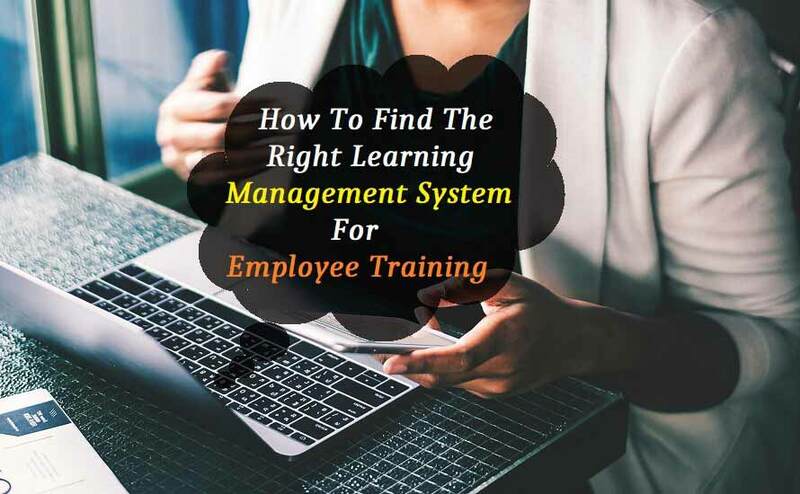 How To Find The Right Learning Management System For Employee Training? Employee training has always been one of the most important concerns of businesses around the world. But, traditional training methods consume much time and costs in the process. This is why modern-day entrepreneurs are getting inclined towards ‘LMS or learning management system’ that is known to create a virtual learning environment for the perfect delivery of online training courses. This implies that you need to have access to the best LMS, in order to train or prepare your employees for the upcoming compliance, challenges and fulfill your business goals. Before you make the purchase, you should clearly define your goals, as to why you need to have an LMS. For example, you might want the learning platform for improving employee productivity, lowering the training costs, increase compliance or for any other allied reason. Unless and until you decide on what your primary goals are, you will never be able to achieve the destined business goals. A reporting panel to show which employees have completed the lessons and what amount of time they spent in the module. These features are dependent on how your training staff members will be using the e-learning platform. To select the most effective platform for your employees, you must determine the size of the user base, i.e. the number of employees, who would be using the LMS for learning new skills. Not just this, you will need to make sure that the employees get access to a range of content types, such as video, written and audio content. This is important to provide the best learning experience to the employees. With these tips in mind, you can certainly discover the right platform that works the best for you. Just make sure you compare different options available.